This is such a festive photo and just perfect for Edible Eye Candy. This photo was designed by Kate Landers Events and was recently spotted on Hostess Blog here. 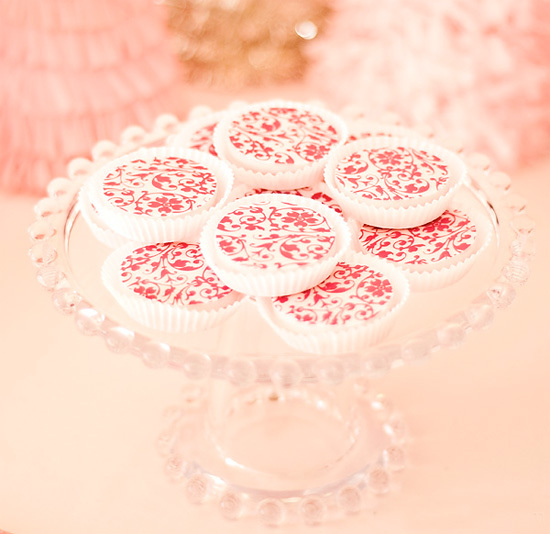 These pale pink white chocolate covered Oreos are from Kim of Sweeties by Kim and feature a raspberry design on them. The entire Nutcracker Suite holiday ballet party is a must see.